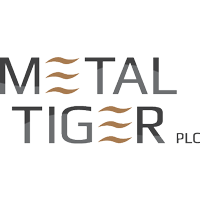 The trading price for Metal Tiger PLC EPIC code: LON:MTR has gained 4.31% or 0.06 points throughout the session so far. Buyers have so far held a positive outlook during the trading session. The period high was 1.35 dropping as low as 1.26. Volume total for shares traded during this period was 2,043,981 with the average number of shares traded daily being 2,896,513. The stock 52 week high is 3.44 about 2.17 points in difference on the previous days close and a 52 week low being 1.08 which is a variance of 0.19 points. Metal Tiger PLC now has a 20 simple moving average of 1.4 with a 50 day SMA of 1.39. The current market capitalisation is £20.63m at the time of this report. The currency for this stock is GBX. Market cap is measured in GBP. This article was written with the last trade for Metal Tiger PLC being recorded at Tuesday, April 2, 2019 at 11:38:37 AM GMT with the stock price trading at 1.33 GBX. Shares of Intertek Group plc ticker lookup code: LON:ITRK has increased 1.37% or 67 points throughout the session so far. Traders are a positive bunch during the session. The period high has peaked at 4953 meanwhile the session low reached 4881. The amount of shares exchanged has so far reached 352,063 whilst the average number of shares exchanged is 441,940. The stock 52 week high is 6084 amounting to 1206 points in difference to the previous days close of business and a 52 week low sitting at 4323 which is a variance of 555 points. Intertek Group plc now has a 20 simple moving average of 4822.16 and now a 50 day moving average of 4998.63. The current market cap is £7,980.89m at the time of this report. The stock is traded in GBX. Mcap is measured in GBP. This article was written with the last trade for Intertek Group plc being recorded at Tuesday, April 2, 2019 at 12:03:22 PM GMT with the stock price trading at 4945 GBX. The share price for Kingfisher plc company symbol: LON:KGF has increased 1.45% or 3.4 points throughout today’s trading session so far. Market buyers have remained positive during the trading session. The high for the period has peaked at 238.5 and a low of 235. The total volume of shares traded by this point was 1,290,445 with the daily average number around 8,878,827. The 52 week high price for the shares is 319.7 which comes in at 84.6 points in difference to the previous days close of business and a 52 week low sitting at 202.7 which is a variance of 32.4 points. Kingfisher plc now has a 20 moving average of 239.04 and the 50 day simple moving average now of 235.75. Market capitalisation for the company is £5,032.62m at the time of this report. Share price is traded in GBX. Mcap is measured in GBP. This article was written with the last trade for Kingfisher plc being recorded at Tuesday, April 2, 2019 at 12:03:14 PM GMT with the stock price trading at 238.5 GBX. The share price for Micro Focus International plc EPIC code: LON:MCRO has increased 1.82% or 36.4 points during today’s session so far. Buyers have remained optimistic during this period. The period high has peaked at 2045 dropping as low as 2005. Volume total for shares traded at this point reached 820,899 with the daily average number around 1,677,924. The 52 week high for the share price is 2045 about 44 points in difference to the previous days close of business and a 52 week low sitting at 965.6 which is a difference of 1035.4 points. Micro Focus International plc now has a 20 moving average of 1935.26 and now a 50 day moving average at 1768.01. The market cap now stands at £8,361.22m at the time of this report. The share price is in GBX. Mcap is measured in GBP. This article was written with the last trade for Micro Focus International plc being recorded at Tuesday, April 2, 2019 at 12:03:24 PM GMT with the stock price trading at 2037.4 GBX. The trading price for NMC Health PLC found using EPIC: LON:NMC has gained 3.33% or 78 points during today’s session so far. Traders seem confident throughout the trading session. The periods high figure was 2427 dipping to 2332. Volume total for shares traded during this period was 1,352,745 while the daily average number of shares exchanged is 923,279. A 52 week high for the stock is 4376 amounting to 2035 points in difference on the previous days close and a 52 week low being 2110 which is a variance of 231 points. NMC Health PLC now has a 20 simple moving average of 2641.16 and now a 50 day simple moving average now at 2693.31. The current market capitalisation is £5,036.62m at the time of this report. The share price is in Great British pence. Mcap is measured in GBP. This article was written with the last trade for NMC Health PLC being recorded at Tuesday, April 2, 2019 at 12:02:27 PM GMT with the stock price trading at 2419 GBX. Stock in Prudential plc found using EPIC: LON:PRU has gained 2.99% or 46.5 points during the course of today’s session so far. Buyers have remained optimistic during the trading session. The high for the period has peaked at 1606 dipping to 1481.5. Volume total for shares traded at this point reached 1,525,710 whilst the daily average number of shares exchanged is just 5,126,759. The 52 week high for the share price is 1962 some 405 points difference from the previous days close and the 52 week low at 1324.99 making a difference of 232.01 points. Prudential plc has a 20 SMA of 1589.76 and now a 50 day MA at 1560.08. Market capitalisation for the company is £41,685.32m at the time of this report. Share price is traded in GBX. Mcap is measured in GBP. This article was written with the last trade for Prudential plc being recorded at Tuesday, April 2, 2019 at 12:03:53 PM GMT with the stock price trading at 1603.5 GBX. Click ITRK KGF MCRO MTR NMC PRU for the full archive.